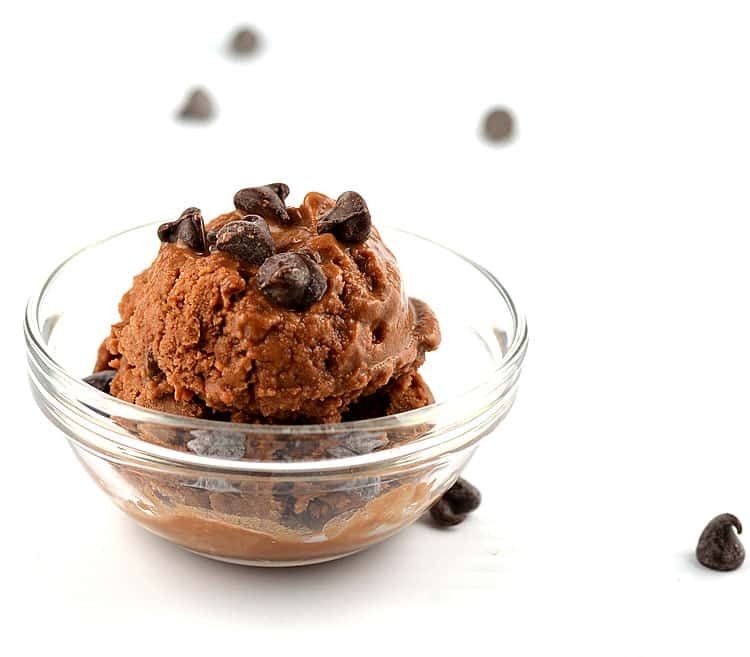 The last, but certainly not least, of my recipes made as part of a review I did on Sunwarrior’s Vegan Protein Powders & Supplements is this chocolately dessert! 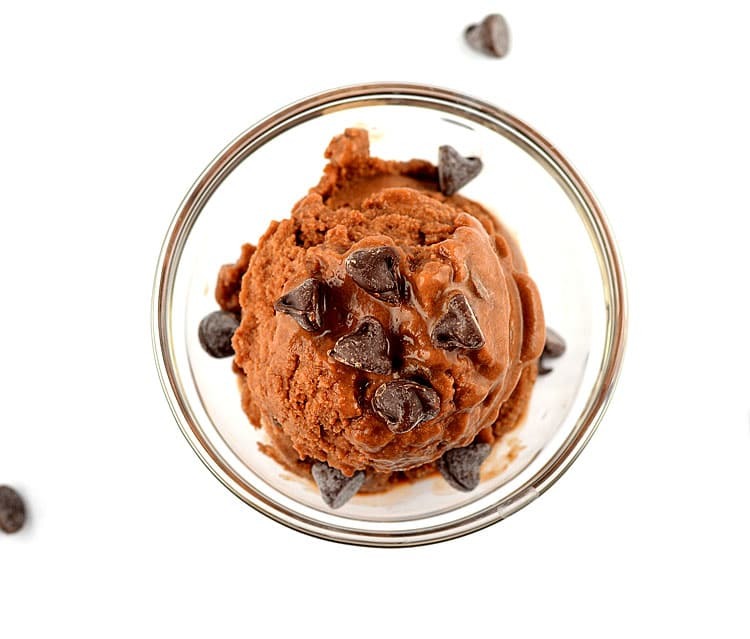 Our Chocolate Chocolate Chip Frozen Dessert is created using just a handful of ingredients but it is sweet, delicious and … decadent. 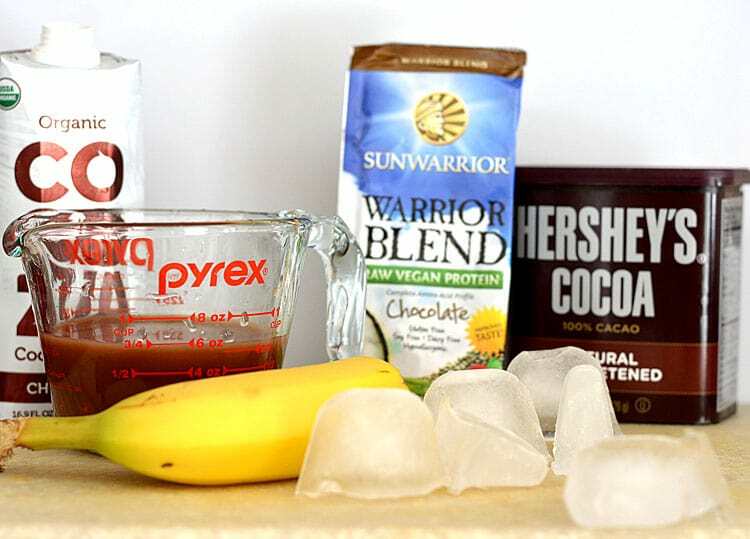 Using chocolate coconut water (which by the way, if you haven’t tried yet, you should), Sunwarrior’s vegan chocolate Warrior Blend protein powder, a scoop of cocoa powder, a banana and ice, I could have stopped at just a smoothie. However, I decided to take it another step further and put it in my ice cream maker for this frozen dessert. Freeze the bowl of an electric ice cream maker over night for use the next day. Combine all ingredients in a high speed blender, pureeing until smooth. 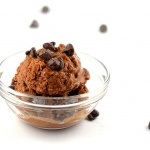 Transfer to the bowl of an ice cream mixer that you have already frozen overnight. Allow the mixture to freeze to a "soft serve" stage and then add the chocolate chips. Let it run for 10 minutes more. Place the bowl in the freezer for 30 minutes to an hour to make scooping easier. Serve with a garnish of vegan chocolate chips!